This review is for the Windigo spoon, by Majik. This came to me in a box from Simple Fishing, a Canadian focused fishing tackle subscription box. I had received a spoon or two from Majik in previous RLM Elite boxes, and was always impressed by the quality. 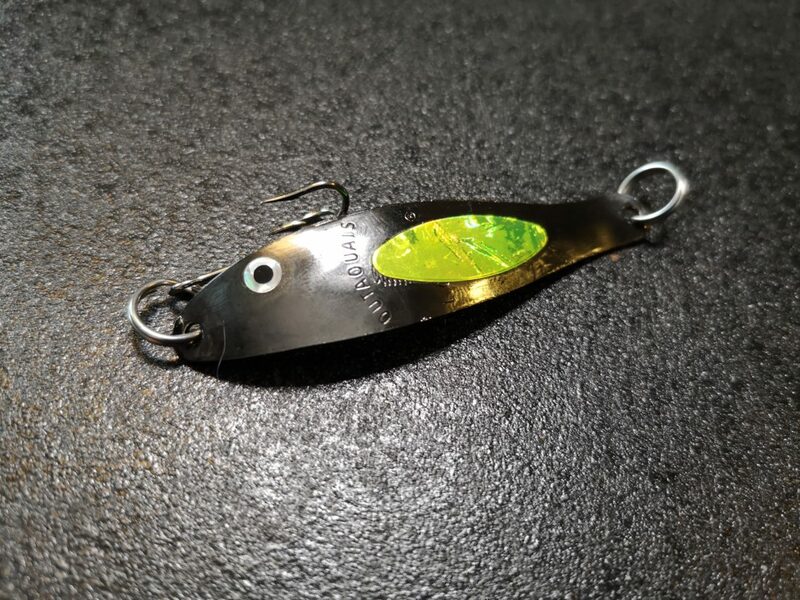 Spoons in general are a classic Canadian fishing lure, and Majik always manages to harness the history of the spoon while making it their own. The Windigo is no different. The Windigo line comes in a variety of colors, and the one I tested is the Black with Chartreuse tape. 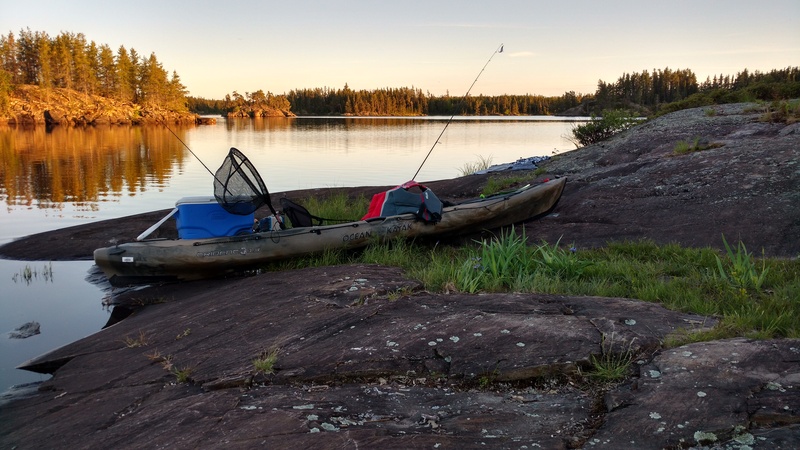 For testing this lure, I headed to Brereton Lake, in the Whiteshell Provincial park. I went with my friend Cam, both of us on kayaks. It was an odd sort of day, due to raging wildfires not far away. The sky was orange, blocking out the sun and making the water dark and chilly. Not to be deterred, we spent a full day on the lake and pulled in a good number of fish between the two of us. With the flash of the chartreuse tape, the dark waters were a great place to test out the Windigo. I fished it deep, shallow, across shorelines, and over sand and weed beds. It is such a versatile lure that there was really no where that I could go wrong by casting it. The Windigo performed well, as I expected. It didn’t take me long to catch a decent pike. The Windigo’s action in the water is excellent, and attracted many bites in many different locations. I cast it into deep water and shallow. 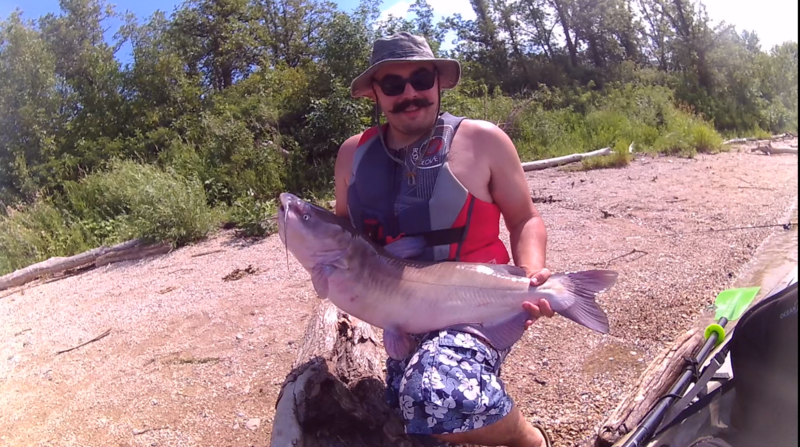 Trolled along shorelines and up the mouth of a river. Weedy bays, sand flats, rocky boulder fields, all were good locations to throw this spoon into. In one shallow weedy bay I even pulled in a nice sized perch, which I was not expecting. I don’t normally fish for perch specifically, and it is always nice to catch them by accident. 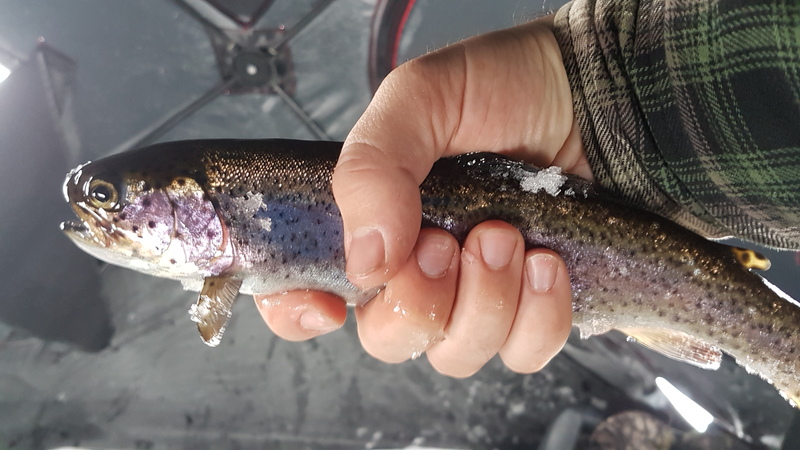 The Windigo with it’s spinning style of flash and unique movement in the water proved to be a very effective and versatile lure. I will definitely be keeping it in my tackle box for future use, and I highly recommend anyone interested to pick on up. To see the full review, with a more in depth look at the lure, see the video below. For more reviews, unboxings, and outdoor adventures, check out True North Wild’s Youtube channel. If you have a fishing, hunting, or outdoor product that you would like reviewed, feel free to contact me.